Here’s the thing about Terror Twilight: it’s fine. It’s perfectly fine. 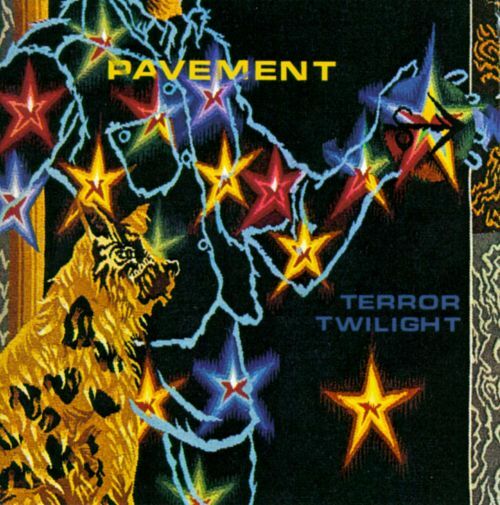 That said, I saw Pavement for the second time on that tour — at the Fillmore, which was much preferable to the Warfield — and enjoyed them very much even as they focused the set on Terror Twilight material, all of which was perfectly fine live as well. Problem is, that “fine” wasn’t what I wanted from Pavement; I wanted some combination of weird, funny, noisy and melodic. I never got those vibes from Terror Twilight, except for the final two tracks: the ominous jam “The Hexx” and the final almost too silly “Carrot Rope,” helpfully called “… And Carrot Rope” on the album cover because why not.